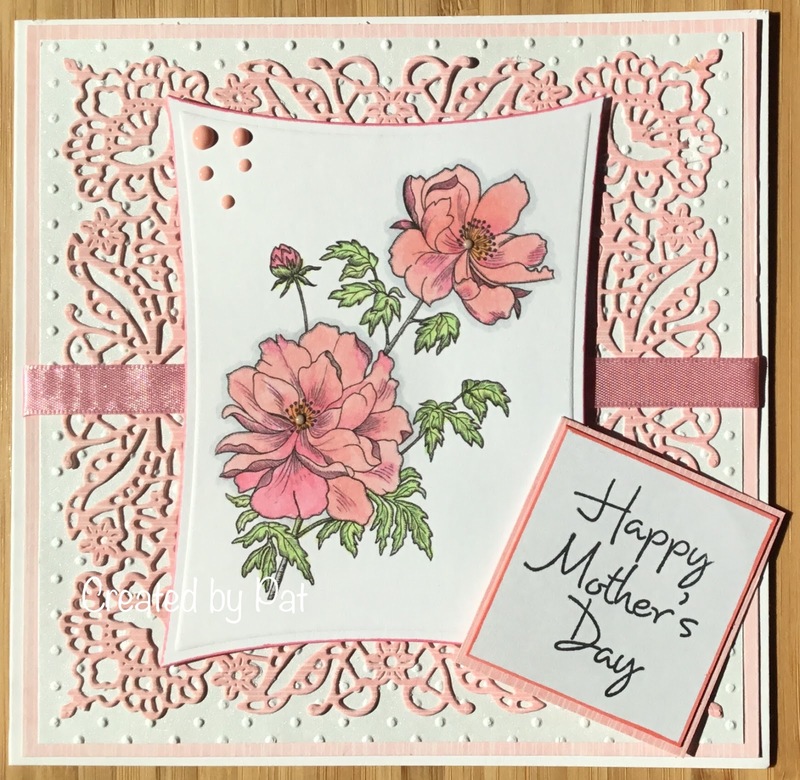 A beautiful Mothers Day card Pat, the flower stamp is lovely...fabulous colouring! Wonderful design too with that gorgeous background die. Gorgeous card, love the pretty background die ! Such a beautiful card Pat! Thank you for joining us at Try It On Tuesday! A beautiful Mother's Day card Pat, such a pretty image and lovely die cut frame. 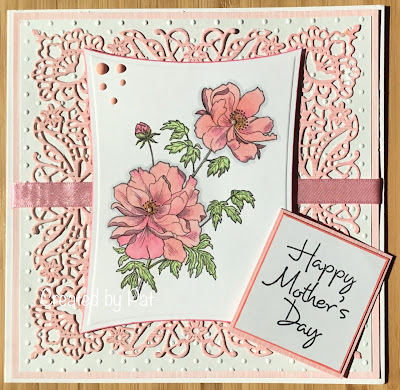 A gorgeous feminine Mothers card, the details look so pretty. Thank you for joining us at Try it on Tuesdays. Love the background . . . it's so pretty. Thanks for joining us at PDE! Beautiful card! Thanks for joining us at Pause Dream Enjoy Challenges. Thanks for sharing your beautiful card with us at Try it on Tuesday this time. Much appreciated! This is an elegant mother's day card! The coloring on the flowers is gorgeous and the die cut background in the same color looks so beautiful! Thank you so much for joining us at The Flower Challenge! Very pretty card with a gorgeous die-cut. Thanks so much for joining us at the Di's digi designs challenge. Lovely card - coloured beautifully! Thank you for joining us at Crafty Cardmakers this time. Beautiful card, Pat. Your flowers are lovely and the background die is just gorgeous...!!! Hope you're having a good Mother's Day with your family.